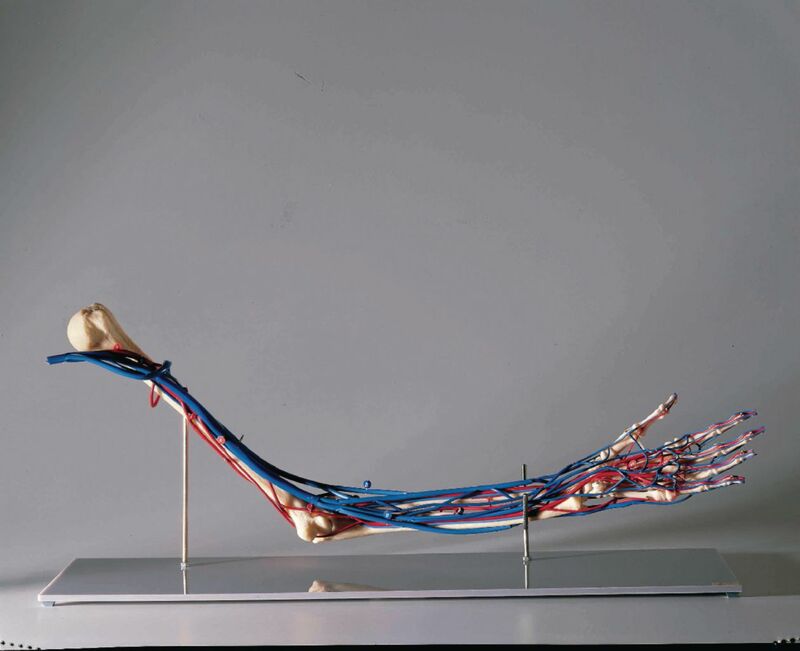 The life-size model of the left arm and hand in a semi-flexed position features the brachial, radial, and ulnar arteries and accompanying veins with their radicals in situ. The complete circulatory system of the hand is shown on both palmar and dorsal surfaces. Comparative sizes of the various blood vessels are clearly indicated and facilitate the study of the blood circulation in the arm. 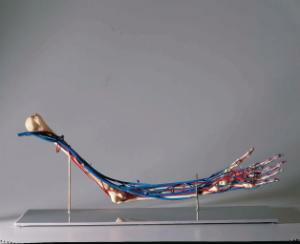 The model is mounted on a stand with a key card.